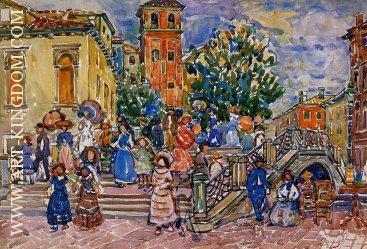 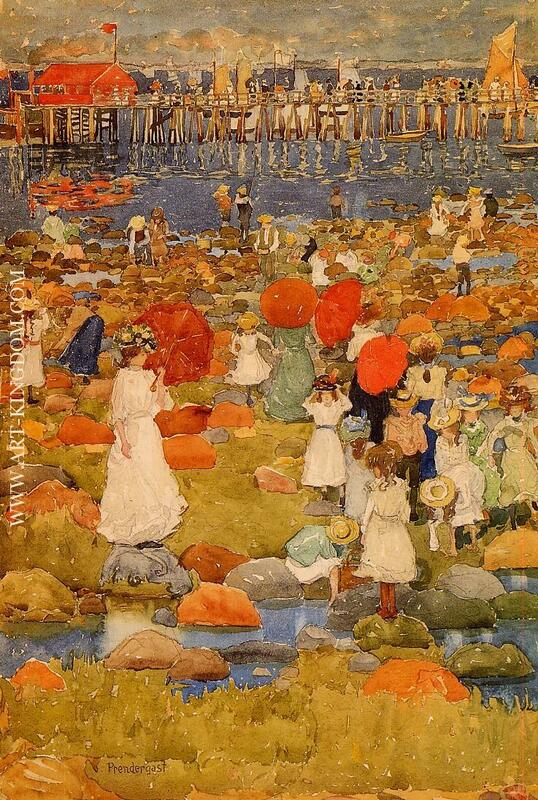 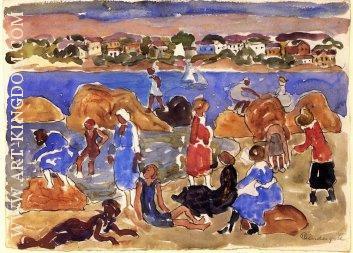 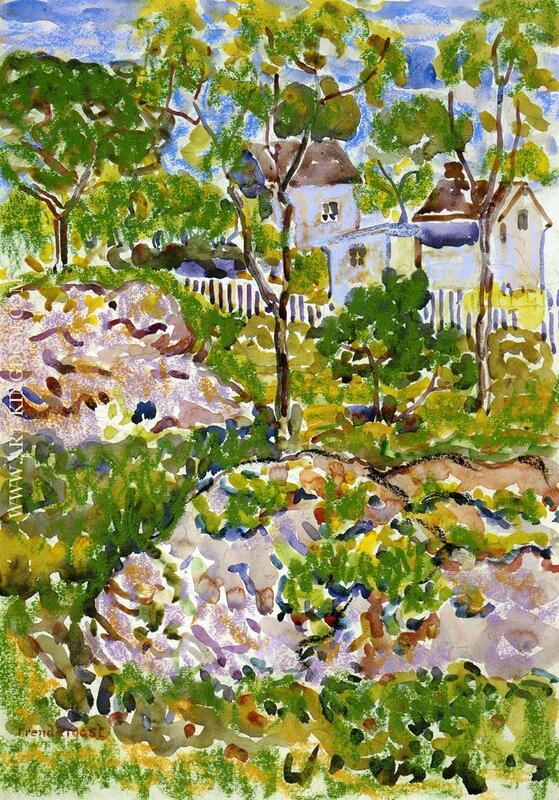 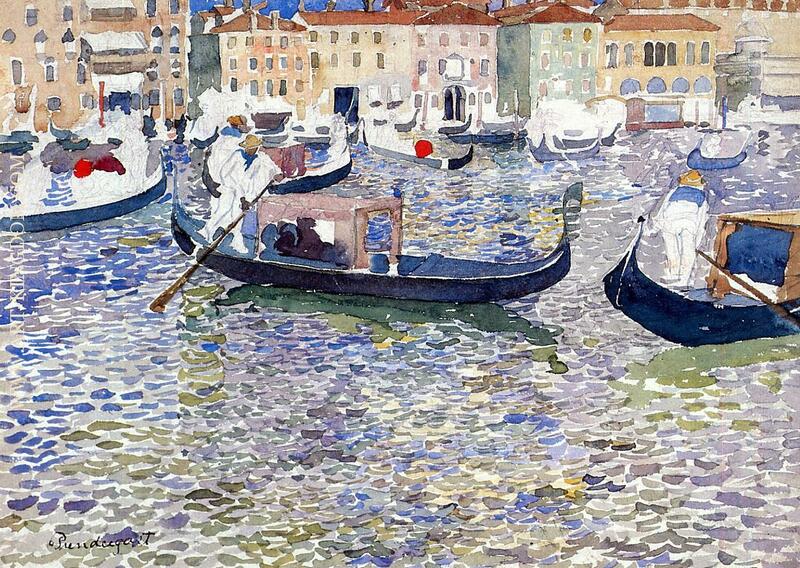 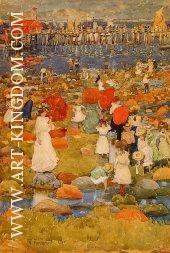 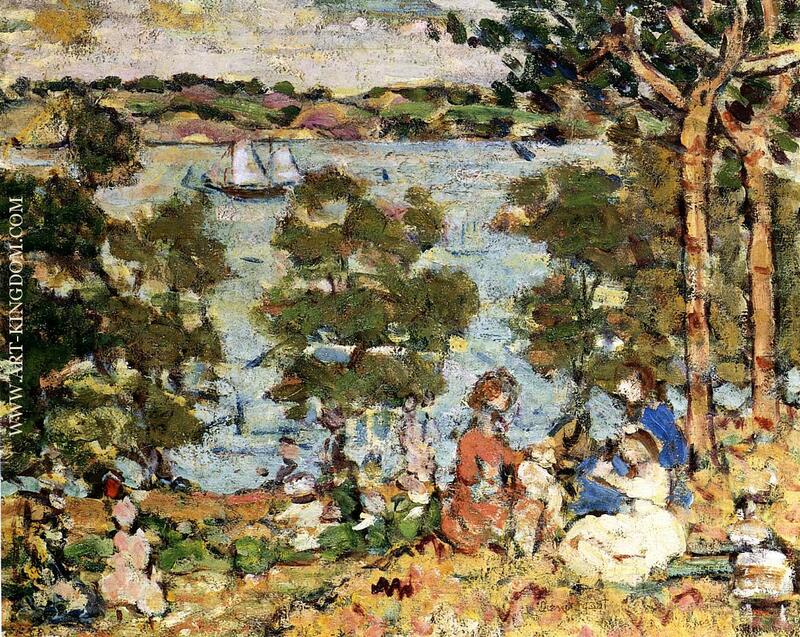 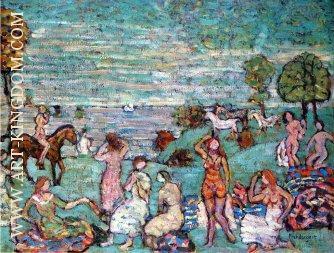 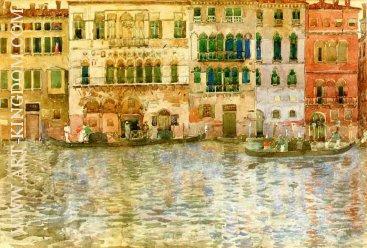 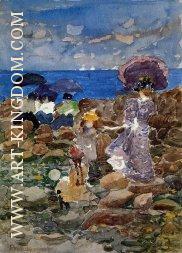 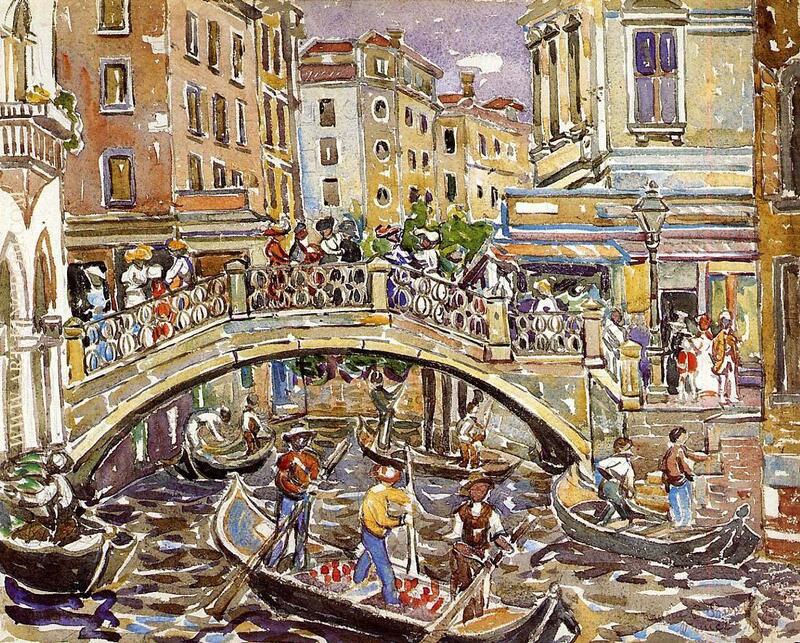 Maurice Brazil Prendergast (October 10, 1858 – February 1, 1924) was an American Post-Impressionist artist who worked in oil, watercolor, and monotype. 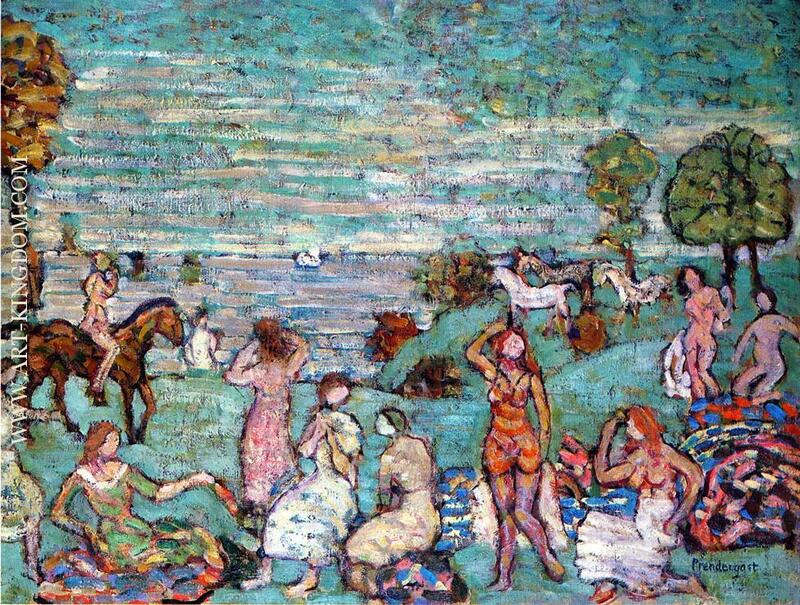 He exhibited as a member of The Eight, though the delicacy of his compositions and mosaic-like beauty of his style differed from the philosophy of the group. 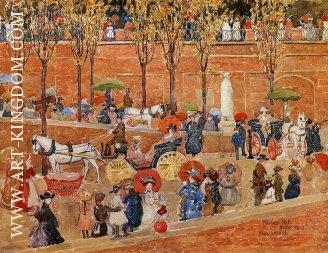 Prendergast studied in Paris from 1891 to 1895, at the Académie Colarossi with Gustave Courtois and Jean-Joseph Benjamin-Constant, and at the Académie Julian. 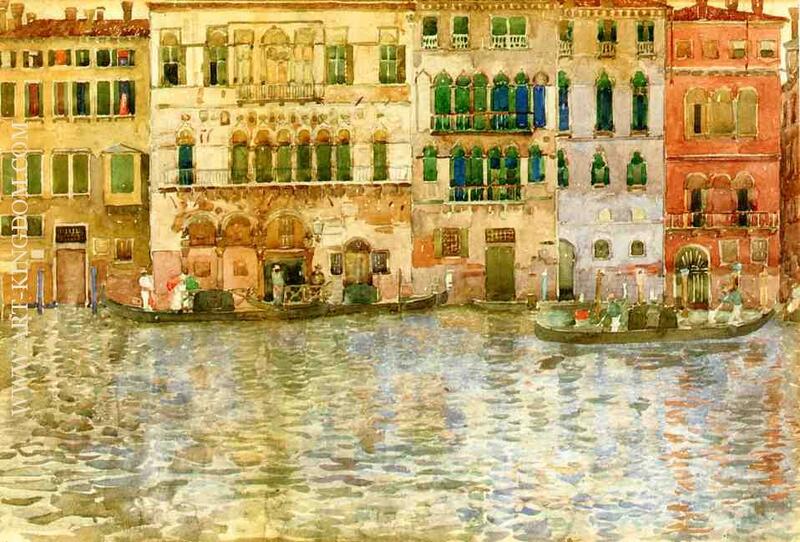 During one of his early stays in Paris, he met the Canadian painter James Morrice, who introduced him to English avant-garde artists Walter Sickert and Aubrey Beardsley, all ardent admirers of James McNeill Whistler. 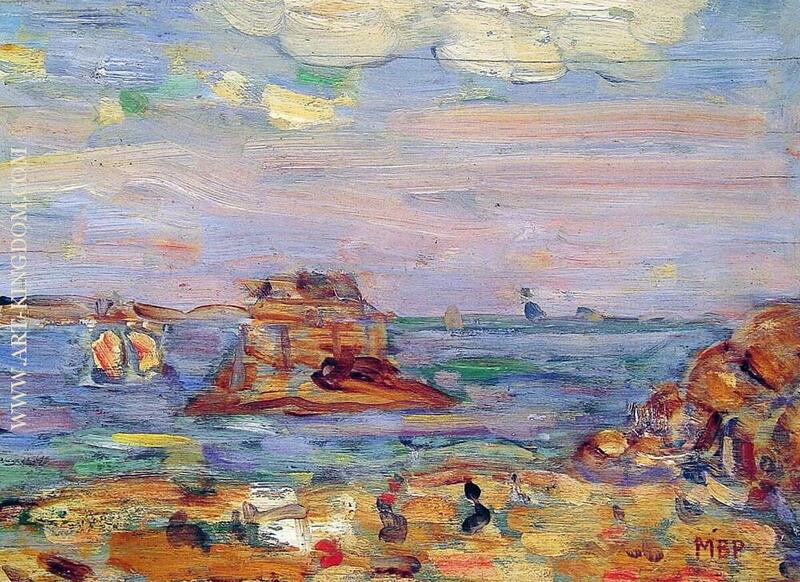 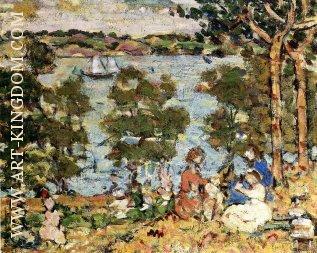 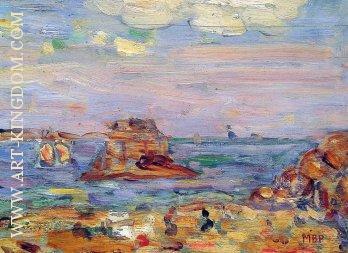 A further acquaintance with Édouard Vuillard and Pierre Bonnard placed him firmly in the Post-Impressionist camp. 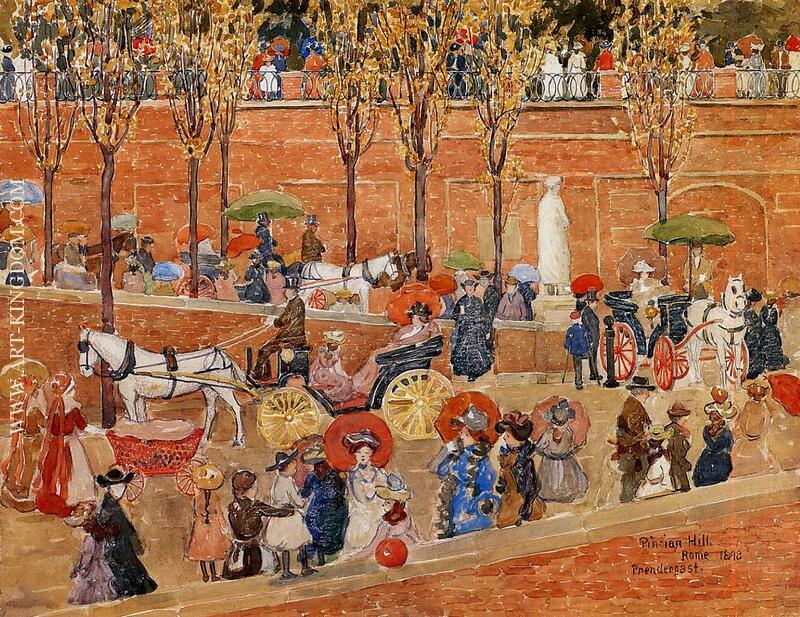 He also studied the work of Vincent Van Gogh and Georges Seurat at retrospectives held in Paris in 1891 and 1892.Prendergast was additionally one of the first Americans to espouse the work of Paul Cézanne and to understand and utilize his expressive use of form and color. 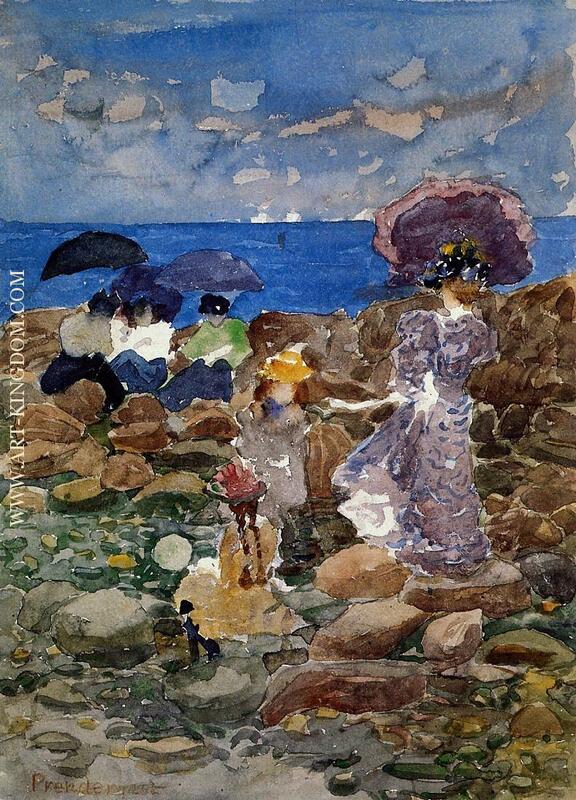 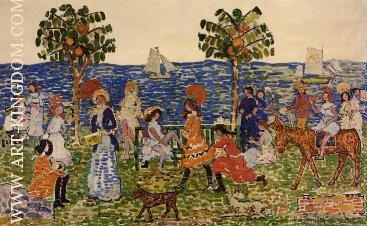 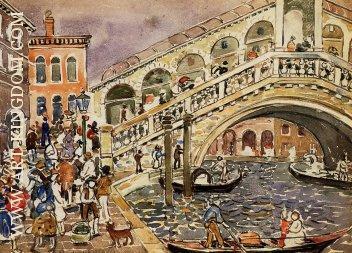 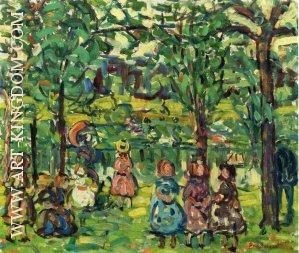 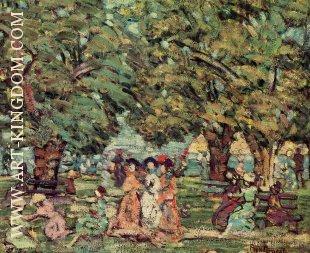 Prendergast returned to Boston in 1895, and worked mainly in watercolor and monotyping. 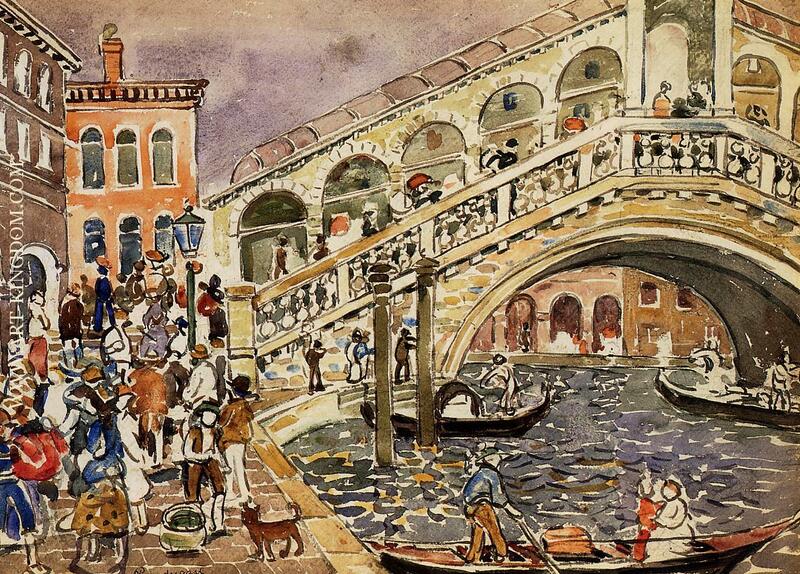 A trip to Venice in 1898 exposed him to the delightful genre scenes of Vittore Carpaccio and encouraged him toward even more complex and rhythmic arrangements. 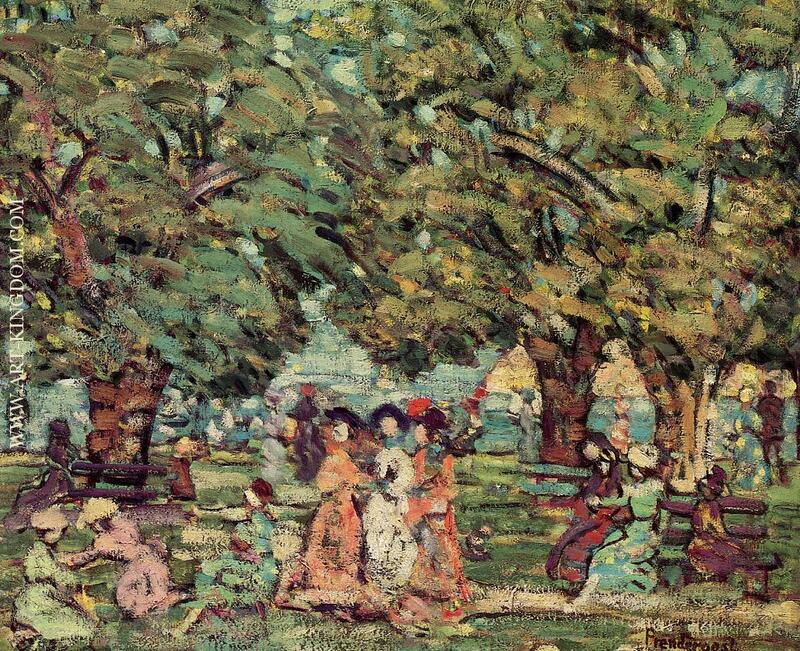 In 1900, he had major exhibitions at the Art Institute of Chicago and at Macbeth Galleries in New York, which earned him critical acclaim. 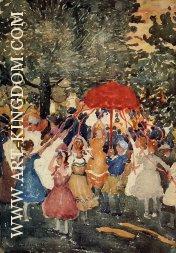 He showed in the National Arts Club exhibition in 1904, through which he befriended the painters William Glackens, Robert Henri, and John French Sloan.He exhibited with them in 1908 at Macbeth Galleries, along with Everett Shinn, Arthur B. Davies, Ernest Lawson, and George Luks, collectively known after the show as The Eight. 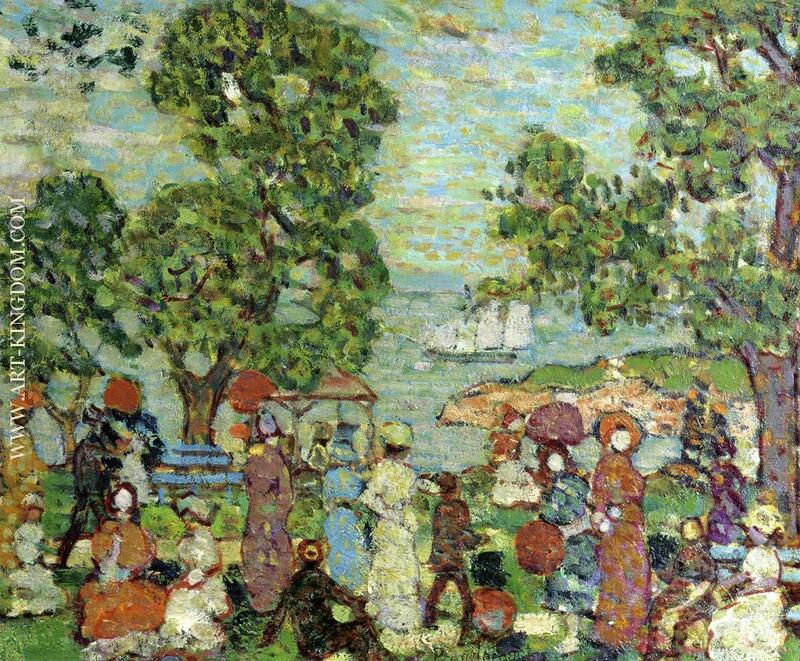 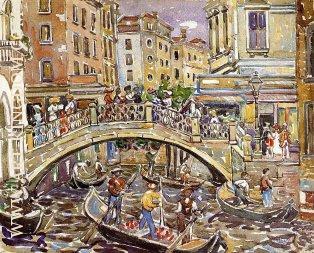 Glackens in particular became a lifelong friend of Prendergast's. 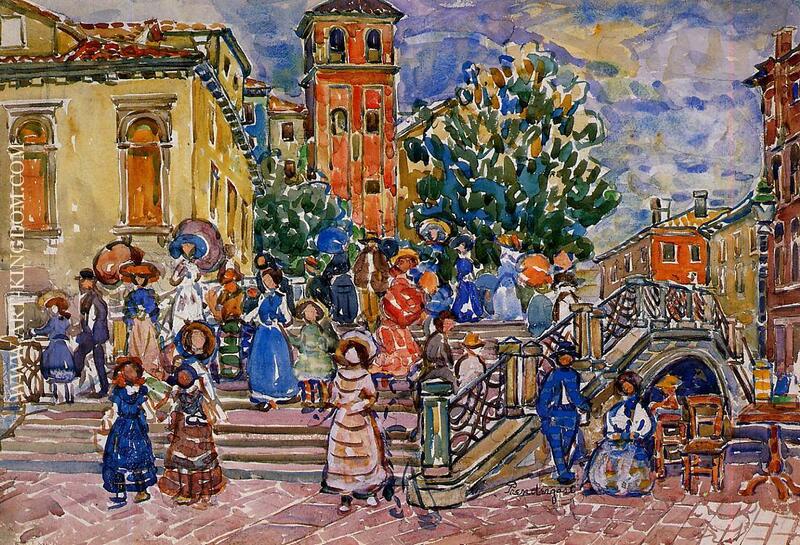 Despite poor health that hindered his work, Prendergast continued to show in major exhibitions through the remainder of his life. 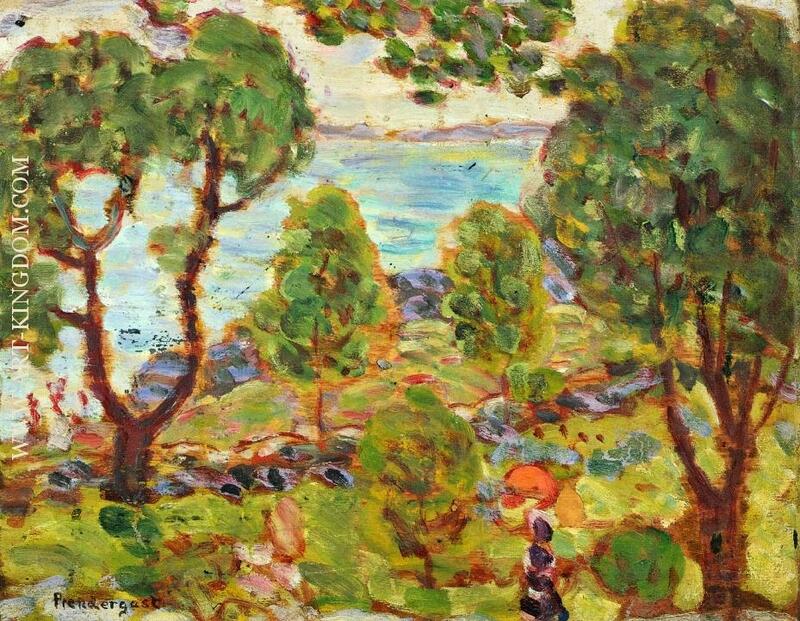 Albert Barnes and Ferdinald Howald became his patrons after his shows at the Carroll gallery and the Daniel Gallery.He showed seven works at the landmark 1913 Armory Show that showed his stylistic maturity. 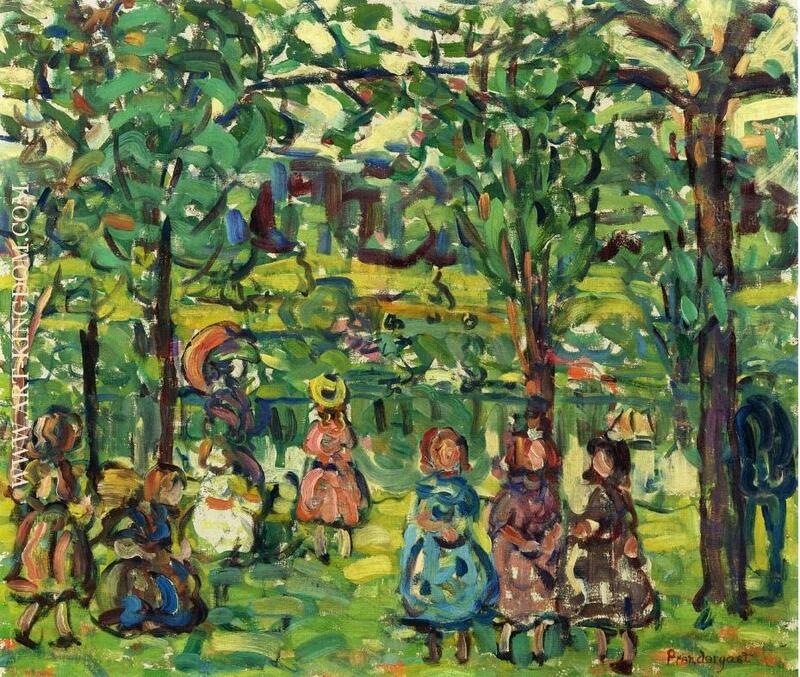 In 1916, he participated in the Fifty at Montross show at the Montross Gallery, which also included works by Cézanne, Matisse, Seurat, and Van Gogh. 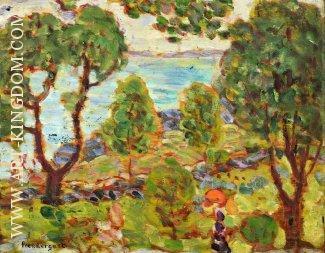 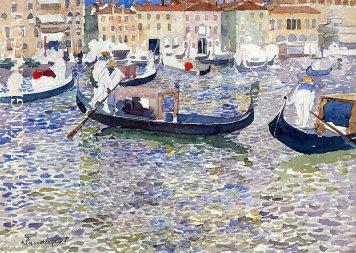 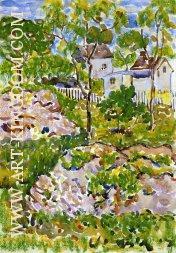 His work was the subject of a retrospective at Joseph Brummer Gallery in 1921.